The painting above is a self-portrait, of sorts. 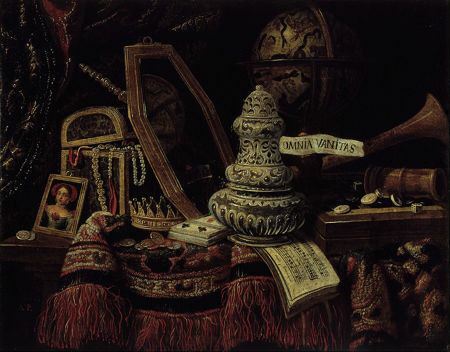 The artist can hardly be seen, but the title gives us a clue, Vanitas with Violin and Glass Ball. 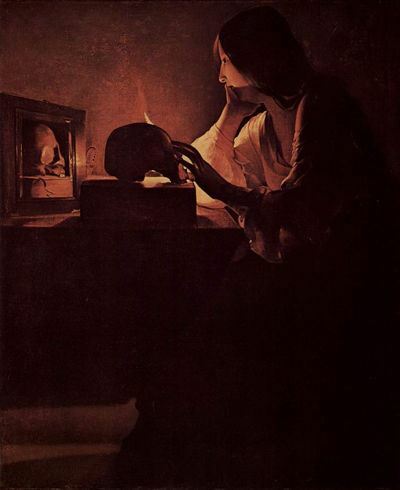 The violin dominates the painting and other inanimate objects, including a skull suggesting a person who was once living and animate, but is no more, are also prominent. 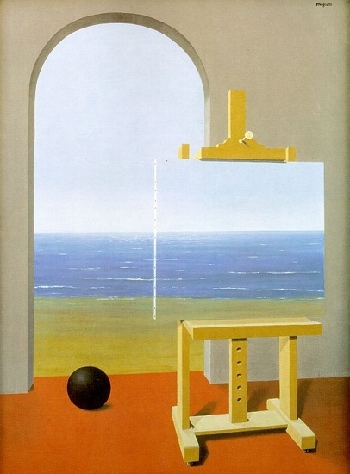 But if we look carefully at the glass ball at the back of the painting we can see, if we look very closely, the reflection of the painter in the glass. 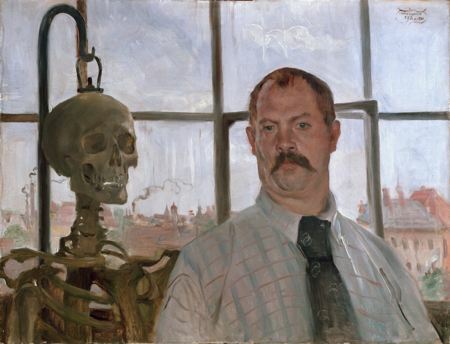 He is distorted as are the other objects in the painting. 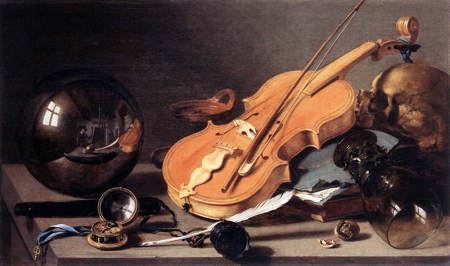 There is the watch suggesting the passage of time, the skull suggesting the end of life, and objects, like the violin and quill, that suggest the work some do, as well as the wine glass that might suggest how we spend our leisure time. 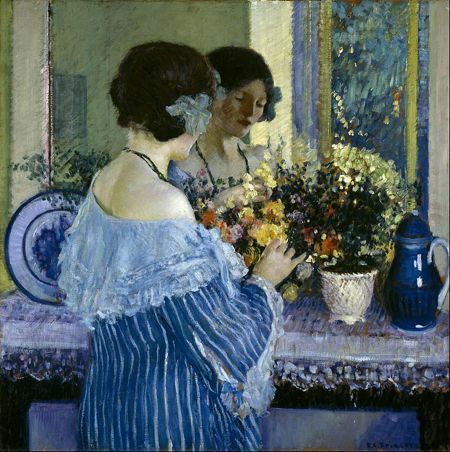 Perhaps this is what vanity is, the objects with which we fill our time that come to say more about who we are than we ourselves, or our actions, perhaps, say about who we are. The painter is lost in the background and the objects that fill his time are all that we see clearly. And is this not, to an extent, what vanity is, the pride we take in what we have or what we do for work or how we fill our time, and not in the way we conduct ourselves, how we behave, how we treat others, or the values our lives embody that define us as members of our communities, which more clearly and truly define who we are as people. Here are three portraits. Two are of people who possessed great power, Pope Innocent X possessed great religious power and King Charles I possessed great political power. 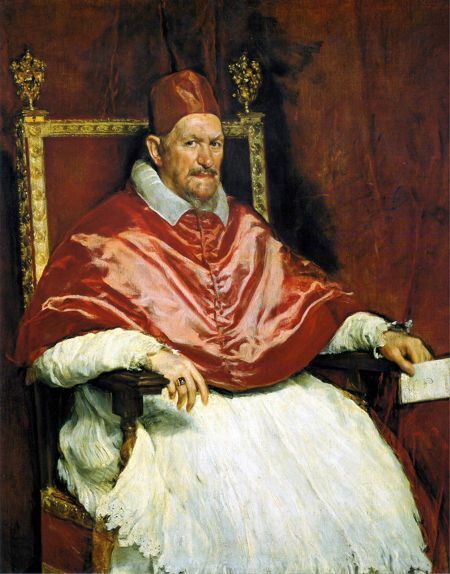 Pope Innocent X, though a religious leader, increased the political power and influence of the 17th century Catholic Church. King Charles I, on the other hand, in the eyes of some, abused his political power and in the end this abuse of power led to his execution. If we look into the face of Pope Innocent X we see a man who looks very serious and, in my view, very hard and uncompromising. 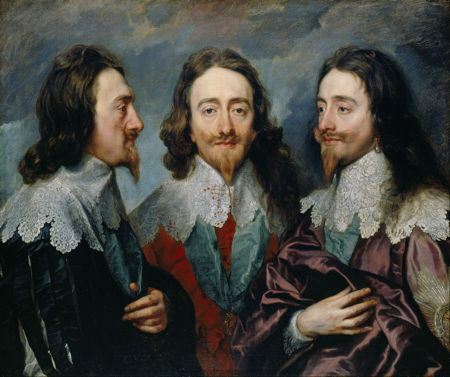 If we look into the face of King Charles I, and we have three views of his face, we see man who looks softer and more carefree. There is a kind of “gentle” sternness in his look and also the suggestion that this is a man used to privilege and self-indulgence. 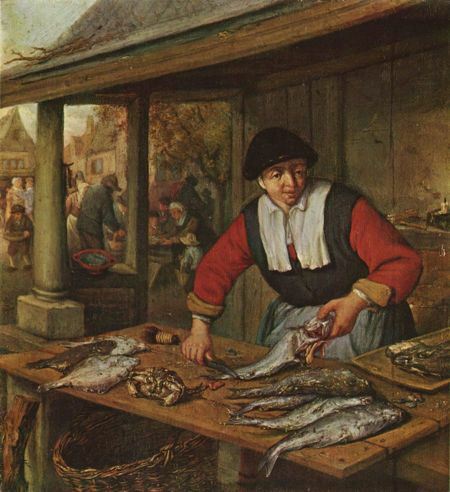 The third portrait is of a fishmonger who is focused on his work and there is in his appearance the suggestion that he is content in his work. There is no sense of privilege about him and no sense of power or authority. In these three portraits we see the “three estates” of the medieval and renaissance world. We see in these portraits a view of the world as it is to this day, those that pursue power, those that pursue wealth and luxury (it was the pursuit of luxury that brought about King Charles I downfall, at least in part) and those that pursue work and everyday responsibility. For me, of the three, the fishmonger looks the most content. Art and literature can show us the world and life as it is lived by the various groups and classes of people that fill the world. It can reveal to us how life is and suggest to us how it ought to be. Art unveils us ourselves. Art is a making activity because we are by nature and culture organized by making activities. A work of art is a strange tool. It is an alien implement that affords us the opportunity to bring into view everything that was hidden in the background. If I am right, art isn’t a phenomenon to be explained. Not by neuroscience, and not by philosophy. 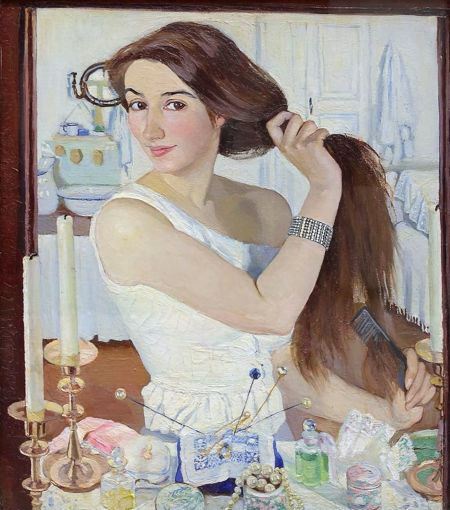 Art is itself a research practice, a way of investigating the world and ourselves. Art displays us to ourselves, and in a way makes us anew, by disrupting our habitual activities of doing and making. I think also art confronts us with ourselves. 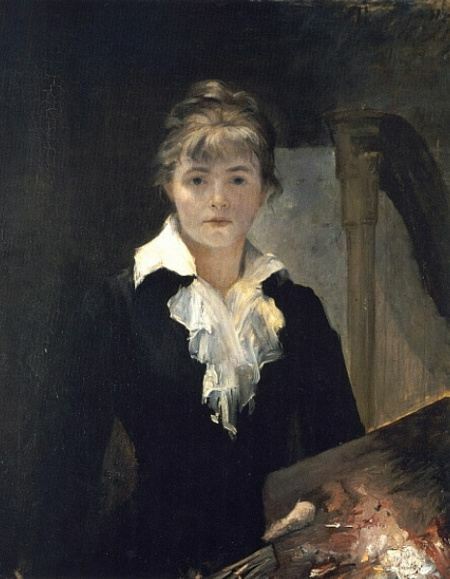 We look at emotions, for example, that we wish to feel, enjoy feeling, and seek to feel and art asks us to consider the “rightness” of those emotions, the appropriateness of them; or at least to consider them in light of other responsibilities and in light of their suitability to the present moment. Art does not deny us these emotions or ask us to deny ourselves the emotions, only to consider them in a larger context. On the other side of the coin they can liberate the emotions, free us from “over-thinking” things. Art helps us to fully be the complex beings that we are. If, by the term “psychological,” we mean relevance for mental life in its entwined cognitive and affective functioning, we are right to invoke it here, for fairy tales speak directly and indirectly to the psyche. They stimulate rainbows of feeling, insatiable curiosity, and inexhaustible searches for meaning. Psychology, moreover, pace Bettelheim, Pullman, and others concerns more than the so-called imaginary inner lives of characters; it concerns the experience of listeners and readers. Year after year, we still need to know what will happen to Cinderella and Rapunzel, to Jack, to the man who needed a godfather, and to the unnamed youngest daughter who asked her father for a rose. Beyond glittering imagery of silver and golden-haired princesses, roses, shiny keys, and iron caskets, thorns, and fry-pans, we are pulled by our deep yearning for, and terror of, that which defies understanding. Beyond sense and beyond justice and morality, the fairy tales beckon us and we sit on the edge of our chairs waiting to find out what lies ahead—even when we have heard the tale a dozen times before. I personally find this to be true with more than just fairy tales. I want to believe that maybe this time Heathcliff will not seduce Isabella Linton, that the cat will not break Zeena’s dish, that Dr. Jekyll will escape the clutches of Mr. Hyde, that Oedipus will escape his fate and not murder his father and marry his mother, or if he does, somehow he will escape the consequences. 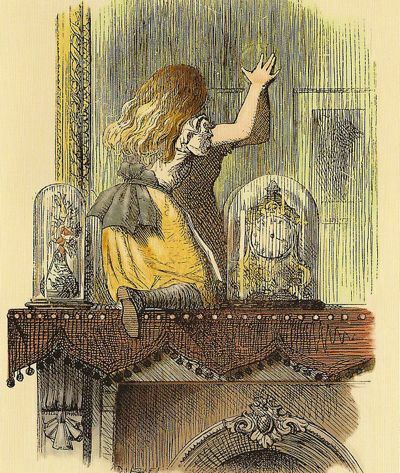 I think there is a fairy tale quality to most great literature that speaks to our psychology, that leads us into the woods of our inner being, our fears, and our hopes and aspirations; that holds up a mirror to our inner lives while also providing an avenue of escape from the terrors that linger there. Often it seems the greatest terrors we face in life are those that live inside of us, the fear of what we will find if we look too deeply into ourselves. Of course these fears, like all fears can only be confronted and conquered by facing them and stories often help us to do that. Once upon a time, back when dragons still roared and maidens were beautiful and an honest young man with a good heart and a great deal of luck could always wind up with a princess and half the kingdom – back then, fairytales were for adults. Children listened to them and enjoyed them, but children were not the primary audience, no more than they were the intended audience of Beowulf, or The Odyssey. 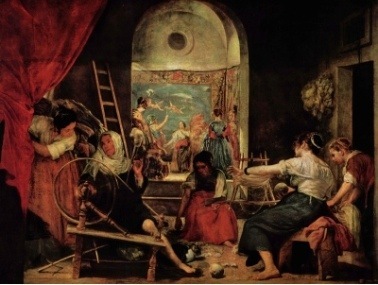 J. R. R. Tolkien said, in a robust and fusty analogy, that fairytales were like the furniture in the nursery – it was not that the furniture had originally been made for children: it had once been for adults and was consigned to the nursery only when the adults grew tired of it and it became unfashionable. There may come a time when the stories we tell today become relegated to the nursery, but then perhaps not. W. H. Auden pointed out that “good literature for adults requires an adult sensibility, but there is no such thing as good literature just for children.” So maybe some of the stories we tell will find their way to the nursery, but, as with other stories from the age of fairy tales there are others that will not. Or, perhaps, as with the fairy tales themselves that in their original form were much too gruesome for children, the stories we tell, when they lose their adult audience, will also be “reformed” for the nursery. Children often understand best the truths that stories tell. But, I think there is a bit more to this. Children’s stories, folk and fairy tales are seen by many to be overly simplistic; simple narratives without much complexity. And though there is truth to this, these stories and the motifs they contain often do find their way into much more complex storytelling. The story of “Sleeping Beauty” is a simple fairy tale in its most familiar form. But its basic motif finds its way into other tales. The story of Brunhilde, for example, in Wagner’s Ring Cycle is on, in part, a “Sleeping Beauty” story. Brunhilde, in The Valkyrie falls in love with Sigmund and when her father, Woden, commands her to orchestrate his death and deliver him to Valhalla, she cannot do it. Woden punishes her disobedience by putting her to sleep on a stone table an surrounding her with a ring of fire. Siegfried, in the subsequent opera in the cycle, Siegfried, finds Brunhilde on the mountain top, penetrates the ring of fire and awakens Brunhilde with a kiss. Basically the same story as “Sleeping Beauty” but with some darker twists. Brunhilde is put to sleep by her father who is the chief of the Norse gods. The story does suggest the power of love, but it also depicts a deity who is not loving, and there is much about Woden that is disturbing. Ultimately the story does not end well as it is the love between Siegfried and Brunhilde, when it is undermined, that brings about the end of the world, the cataclysmic Twilight of the Gods. We might also look at Shakespeare’s Romeo and Juliet as a “Sleeping Beauty” story that goes off the rails. Juliet does not awaken to Romeo’s kiss producing the tragic ending of that story. “A Robin Redbreast in a cage, Puts all Heaven in a Rage,” wrote William Blake. “Sufficient to have stood, though free to fall,” wrote John Milton, channelling God’s musings about mankind and free will in the third book of Paradise Lost. 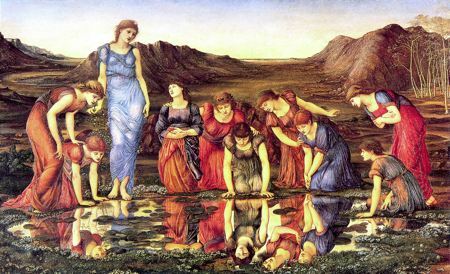 “Freedom, high-day, high-day, freedom … !” chants Caliban in The Tempest. Mind you, he is drunk at the time, and overly optimistic: the choice he is making is not freedom, but subjection to a tyrant. The robin redbreast is safer in the cage: it won’t get eaten by cats or smash into windows. It will have lots to eat. But it will also not be able to fly wherever it likes. Presumably this is what troubles the inhabitants of heaven: they object to the restriction placed on the flight options of a fellow winged being. The robin should live in nature, where it belongs: it should have “freedom to”, the active mode, rather than “freedom from”, the passive mode. That’s all very well for robins. Hooray for Blake, we say! But what about us? Should we choose “freedom from” or “freedom to”? The safe cage or the dangerous wild? Comfort, inertia and boredom, or activity, risk and peril? Being human and therefore of mixed motives, we want both; though, as a rule, alternately. Sometimes the desire for risk leads to boundary-crossing and criminal activity, and sometimes the craving for safety leads to self-imprisonment. Freedom is costly. We live in a time when living in a free and open society carries risks. There are dangerous people who keep their secrets until they can do great harm to those that get in their way and when we see this, it frightens us and we want safety; some want the safety of tyranny. It takes courage to live in a free society and when real danger comes we discover how deep our courage, or lack thereof, runs. In the end, I suppose, a good part of being whole is recognizing our limitations and the limitations that can be changed, ought to be changed, and those that needn’t be changed. We cannot, of course, always overcome our limitations, and if fearfulness is one of ours, we may not be able to change it, we may seek to be free from the need to, but even if we cannot change ourselves, should we in deference to our limitations, impose restrictions on others’ freedom of movement and expression. I think it is important to at least consider this before we find ourselves in the position of having to make such choices and art and literature can help us inhabit these fearful places and make judgments about what to do in such places before we find ourselves in them. I am not sure how much we can prepare ourselves to be courageous, true courage is often only found in the moment it is called upon, but it helps to know what courage looks like and how others have shown it. Today it is not difficult to imagine a world devoid of high culture. In such a world museums will doubtless stay in business, to store what will come to seem the curiosities of earlier centuries; so, too, will a few symphony orchestras remain, while chamber music will seem quainter than Gregorian chant. Libraries, as has already been shown with bookstores, will no longer be required. The diminishing minority still interested in acquiring the benefits of high culture will have to search for it exclusively in the culture of the past. No longer a continuing enterprise, high culture itself will become dead-ended, a curiosity, little more, and thus over time likely to die out. Life will go on. Machines will grow smarter, human beings gradually dumber. Round the world the vast majority might possibly feel that something grand is missing, though they shan’t have a clue to what it might be. 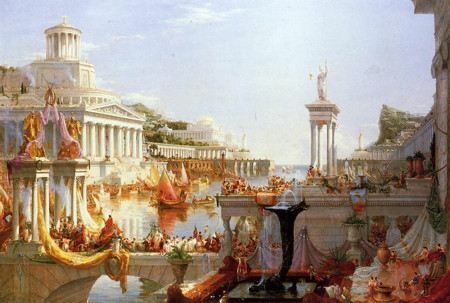 If art, if “high culture” were to die out, I think Epstein is correct in his analysis of what would be lost and the ultimate price a society would pay. This price was nearly paid during the “Dark Ages” when interest in the arts seemed to be lost, but high culture, civilization, was not lost, it did make a resurgence and not all of that age of darkness was as dark as some would have us believe. But what is not valued will not likely be preserved and it is likely that much could be lost. Its loss is worth thinking about, as is its preservation. Is all this — is humanism — sentimental? But sentimentality is not always a counterfeit emotion. Sometimes sentiment is warranted by reality. The persistence of humanism through the centuries, in the face of formidable intellectual and social obstacles, has been owed to the truth of its representations of our complexly beating hearts, and to the guidance that it has offered, in its variegated and conflicting versions, for a soulful and sensitive existence. There is nothing soft about the quest for a significant life. And a complacent humanist is a humanist who has not read his books closely, since they teach disquiet and difficulty. In a society rife with theories and practices that flatten and shrink and chill the human subject, the humanist is the dissenter. Never mind the platforms. Our solemn responsibility is for the substance. Gossip is the steady deliverer of secrets, the necessary divulger of who thinks this and who does that, the carrier of speculation and suspicion. The gossiper is often a grand imaginer and, like the novelist, an enemy of the anthill. The communitarian ants rush about with full deliberation, pursuing their tasks with admirable responsibility, efficiency, precision. Everything in their well-structured polity is open and predictable — every gesture, every pathway. They may perish by the hundreds (step on an anthill and precipitate a Vesuvius); the survivors continue as prescribed and do not mourn. And what a creaturely doom it is, not to know sorrow, or regret, or the meaning of death; to have no memory, or wonder, or inquisitiveness, never to go up and down as a talebearer, never to envy, never to be seduced, never to be mistaken or guilty or ashamed. To be destined to live without gossip is to forfeit the perilous cost of being born human — gossip at its root is nothing less than metaphysical, Promethean, hubristic. Or, to frame it otherwise: To choose to live without gossip is to scorn storytelling. And to scorn storytelling is to join the anthill, where there are no secrets to pry open. There is truth to this, when we read a story and are caught up in it we are spying on people that, in our imaginations, are real people. If we have bought into the story, we believe it is really happening and those that it is happening to are real as well. But also, by the end of the tale we might discover that we are, after a fashion, the target of the gossip, that the gossiper could be talking about us. In this clip from Woody Allen’s film Manhattan the Woody Allen character, which whatever the character’s name may be in the film is usually an incarnation of Woody Allen, is meditating on life, its meaning, and what we live for. He concludes by realizing that part of what he lives for is beauty and that one aspect of that beauty he lives for is his beloved’s face. But whether it is Mozart’s Jupiter Symphony or Louis Armstrong’s “Potato Head Blues” beauty transports, it is part of what we live for, it does more than fill the time, it transforms the time, it removes us from the constraints of time. One aspect of Virginia Woolf’s novel To the Lighthouse that I find especially satisfying is its depiction of the passage of time. In the opening section of the novel the grandmother is reading one of Grimm’s fairy tales to her grandchild. We can get a sense for how much time has passed between certain events by the grandmother’s place in the story. There are events that take pages to describe that in real time took only as much time as it takes to read a sentence or two and others that may take a few paragraphs to describe that transpired over the reading of many pages. This is how we experience the passage of time, a few hours may feel like a few seconds and a few seconds may feel like hours depending on the nature of the events that fill that time. I do not think anyone who has not lived through an earthquake can possibly know how long fifteen seconds can last. https://christophernorthjr.edublogs.org/files/2016/08/OrchestralComboMusicOverTime-1ywi6md-2lcxdvl.mp3 Orchestral/Combo Music Over Time “Lamento di Tristan” Traditional Martin Best Medieval Ensemble “Laïla Djân” (Afghanistan) Traditional Ensemble Kaboul & Hespèrion XXI “Ave Maria” (China) Anonymous Ferran Savall “Somebody Stole My Gal” Traditional Jim Kweskin “Samhradh, Samhradh (Summetime, Summertime)” Traditional The Chieftains “Recorder Sonata In G Minor, Op. 1/2, HWV 360 – 1. Larghetto” George Frideric Handel Michala Petri and Keith Jarrett Rhapsody In Blue George Gershwin André Previn; London Symphony Orchestra “Night In Tunisia” John “Dizzy” Gillespie and F. Paparell Turtle Island String Quartet “’The Ancient’ _ Giants Under The Sun” Jon Anderson, Steve Howe, Chris Squire, Alan White, and Rick Wakeman Yes “Concertino for Jazz Quartet and Orchestra: I” Gunther Schuller The Modern Jazz Quartet “Serenade in G, K.525 “Eine kleine Nachtmusik” – 1. Allegro” Wolfgang Amadeus Mozart Alois Posch and Hagen Quartett “Prelude (Re Mineur)” Karl Friedrich Abel Jordi Savall “String Quartet No.3: ‘Mishima’: ‘1957: Award Montage’” Philip Glass The Smith Quartet & Philip Glass “Adagio from Concierto de Aranjues” Luis Manuel Molina arranged by John Lewis The Modern Jazz Quartet “Ceol Bhriotanach (Breton Music)” Traditional The Chieftains Appalachian Spring Suite: “Doppio Movimento” (shaker Melody “The Gift to Be Simple”) Aaron Copeland Leonard Bernstein & New York Philharmonic “Night at the Caravanserai” Turkish Traditional Yo-Yo Ma: Silk Road Ensemble “Emily’ Reel” Traditional Edgar Meyer, Bela Fleck, Mike Marshall “Cluck Old Hen” Traditional Alison Krauss & Union Station The arts also feed each other. In the musical bits included here it is possible to see how musical forms as distant from one another as the Baroque and Rock and Roll still share a kinship. I thought of Philip Glass as a very modern composer with a unique sound, but when his “String Quartet #3” is juxtaposed with Karl Friedrich Abel’s (an 18th century composer) “Prelude” we hear a very similar sound and discover that the pulsating sound that often characterizes Glass’ music is not original with him. We are all the products of our influences. 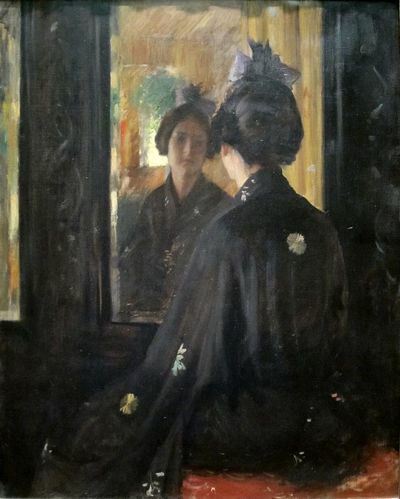 In confronting us with ourselves art invites us, in some senses it demands that we be truthful with ourselves and suggests to us we cannot be wholly ourselves until we have owned ourselves. I am a Christian that works in an academic environment that is often, if not hostile, a bit condescending to those with a religious faith. It is seen by many as falling victim to mythology and superstition. But for those that have experienced faith, the presence of God is as real as the absence of God is to those that have not experienced faith, at least not a theistic one. We are all tempted to conceal what we fear others may ridicule. And part of living fully and being whole demands that we not mind being ridiculed. It has to go beyond just not being angry, because it is in not minding the ridicule that anger is truly vanquished and we have to replace it with something else that enables us to remain true to ourselves. I cannot love my neighbor while I am angry with my neighbor. If love is to survive that vanity that produces embarrassment and makes me susceptible to ridicule, it must find another outlet. As the Bishop in Le Miserables had to find an outlet for his disappointment and feelings of betrayal so that he could enable Jean Valjean to go free by telling the police that what Valjean had stolen was actually a gift. It wasn’t a gift, of course, it was the lie Valjean told in order to escape arrest. But in corroborating the lie, the Bishop not only saved Valjean from prison, he transformed his life. To do this the Bishop had to not mind appearing ridiculous in the eyes of the police and the citizens of his town. The depth of our love is revealed in what we are willing to endure to preserve that love, and it is in preserving that love that true wholeness is found. 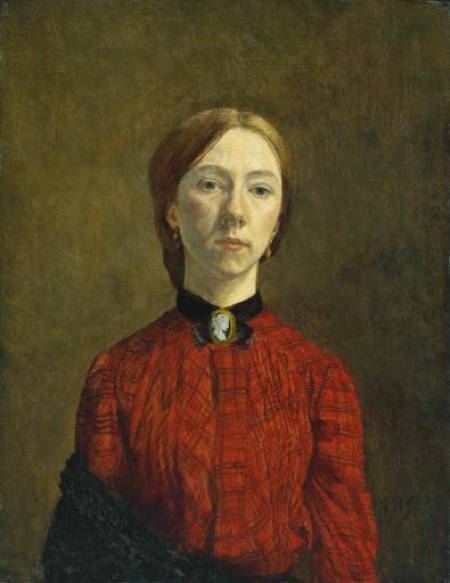 Is this painting about the woman whose portrait is being painted or the artist painting the portrait? There is in the woman’s face a serious sadness. 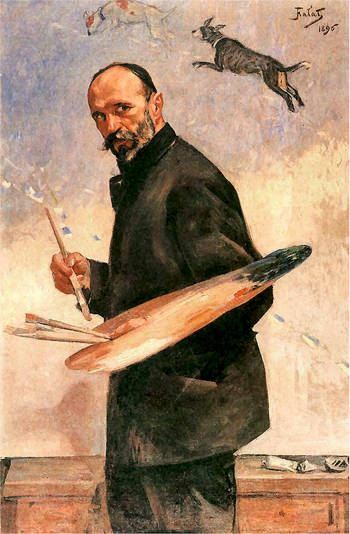 In the artist’s there is focus and determination and a hint of satisfaction. 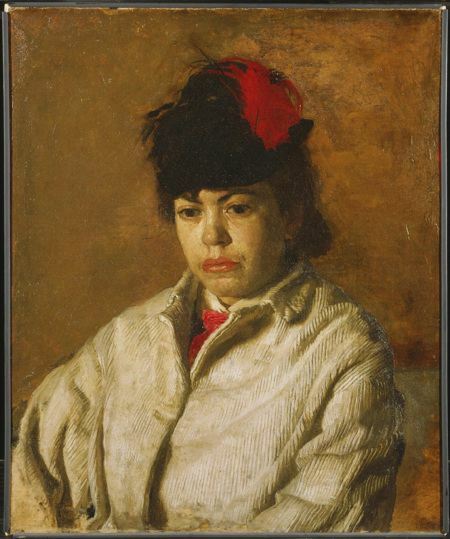 The work probably has a lot to do with the painter’s satisfaction and it may be that the lack of work, the necessity of sitting still and doing nothing, may be the cause of the woman’s sadness. But which is better for us. There is something to be said for work, it keeps us occupied and sometimes it keeps us from having to confront in ourselves that which we would rather not confront. If the sadness in the woman’s face is the result of contemplation on what has produced it, it may in the long term bring her to the other side of her sadness. It may be that the work is enabling the painter to avoid confronting what is unpleasant in his own life. And the truth is that we need to enable both sides of our nature, that which thrives on accomplishment to accomplish and that which thrives on the pursuit of goodness to pursue goodness. There is a magic to living well that enables those that live well to nurture the whole of their humanity; to allow all sides of their character to achieve and strive towards fulfillment. Art, music, and literature can stimulate reflection. Depending on how deeply we look, listen, or read they encourage us to consider our responses to them and what produced those responses. They raise issues that are important or resonate with our experience and often suggest different ways of responding to the events taking place around us and inside us. They also suggest to us that the various cultures that produced the work share a common humanity even though there are cultural, ethnic, or racial barriers that can come between us. 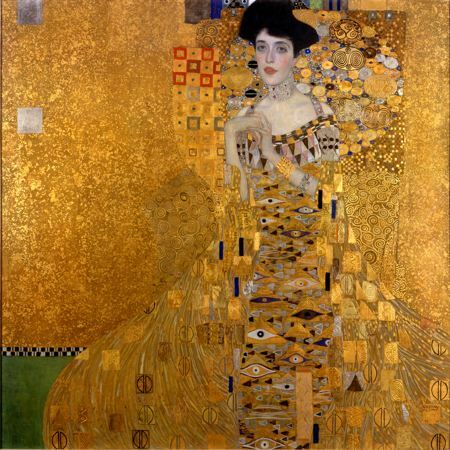 American Jazz, Japanese Kabuki and Noh theater, German Opera, Italian Opera, the Victorian novel, the Russian novel, Homer, Virgil, Ovid, the paintings of the Dutch Masters, the Impressionists, Japanese woodblock, Chinese pen and ink. All of these and many others have been enjoyed by people around the world; people with little or no understanding of the cultures that produced them, but they are still moved by them. They remind us of what humans share in common as well as the aesthetic sense and the values that we share. What did it mean that Shakespeare was the magic carpet that had carried me to Iran? For more than four centuries now he has served as a crucial link across the boundaries that divide cultures, ideologies, religions, nations, and all the other ways in which humans define and demarcate their identities. The differences, of course, remain—Shakespeare cannot simply erase them—and yet he offers the opportunity for what he called “atonement.” He used the word in the special sense, no longer current, of “at-one-ment,” a bringing together in shared dialogue of those who have been for too long opposed and apart. This captures an essence of Shakespeare, but it is also an essence of Cervantes, of Dante, of Tolstoy, of Chikamatsu, Murasaki Shikibu, Bassho, Scheherazade, and Rumi. Literature is often the way one culture speaks to another. It is also a bit subversive. In Greenblatt’s talk a woman asked what he thought of Richard II and the revolt of Bolingbroke. Greenblatt said he did not know and asked her what she thought. 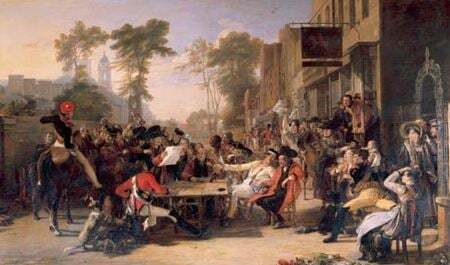 “‘I think,’ the student replied, ‘that it was merely one group of thugs replacing another.’” This might be said of many of the world’s revolutions, The French Revolution, The Russian Revolution, and the Iranian Revolution. Therefore no no, for I resign to thee. And thou with all pleased, that hast all achieved! 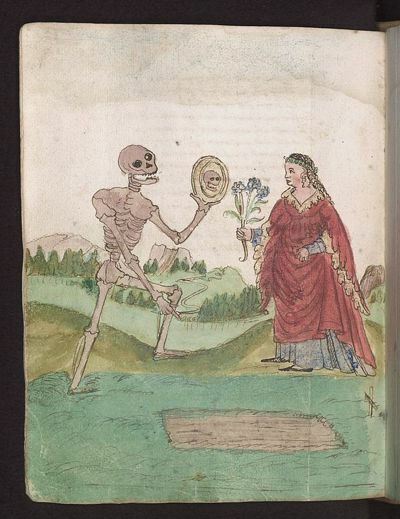 Part of being reflective is coming to grips with our mortality, though hopefully, in not as blunt a manner as Boethius. In the Middle Ages, reading was regarded as a contemplative act. It was lectio divina and limited to sacred texts that, for the most part, were read out loud and optimally, the words read were repeated by the listeners in order to fill body and soul with their significance. Reading then was essentially a form of prayer. Today, however, most people read to be informed and instructed — where to take a vacation, how to cook, how to invest their money. Less frequently, the reasons may be escapist or to be entertained, to forget the boredom or anxiety of their daily lives. These are valid reasons, but I believe most of the reading one does for these reasons is actually a “bad” practice for reading literature. This does not mean reading with the imagination does not entertain, but that it does much more than entertain and that it is a kind of reading that does not have entertainment as its sole object. Perhaps “entertainment” is too “light” a word and we need another, but we live in a time that sees the pursuit of enlightenment and self-knowledge as a kind of work, often arduous work; that does not seem to believe that work can be fun, that it can be entertaining. Jonson’s “understanders” left the theater entertained, but they also left enlightened and much more self-aware. James Parker in “A Most Unlikely Saint” quotes G. K. Chesterton, “The Madman is not the man who has lost his reason. The madman is the man who has lost everything except his reason.” Those of us that spend our lives exclusively with mathematics and the sciences are in danger of loosing everything but our reason; it is the humanities that restore to us the other components that make us fully human and keep us sane. There are those that seem to think the principal purpose of the written word is to convey information. Ours is a digital age and what a digitized world can accumulate quickly are facts and information, data of all kinds, colors, and shapes. Of course there are others who see other purposes for the written word. A recent article in The Los Angeles Review of Books, “Literature is not Data: Against Digital Humanities,” considers the wisdom of looking at literature and the humanities as data. What is lost when we value things solely on the basis of the information they provide? What is lost when we look at a book, a film, or a painting, or listen to music as though they were data banks to be mined? The article focuses on the Google project of digitizing (or attempting to digitize) all the world’s libraries, all the books currently in print and argues that what is most important in these books cannot be digitized. Of course the words can be captured and the books put into their digital bindings on a digital shelf, but the true content of these books lives in the human heart and the human imagination and cannot be so easily preserved by machines. Neil MacGregor in his new book Shakespeare’s Restless World looks at objects that in one way or another capture what is important in Shakespeare’s plays and how he and his world; how we, and our world, how different times and places have responded to these plays. 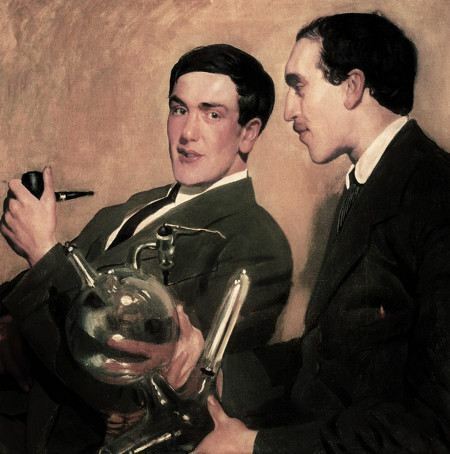 MacGregor and Eric Hobsbawm wrote articles recently, “Shakespeare, a poet who is still making our history” and “Shakespeare’s Restless World by Neil MacGregor – review,” that addressed issues the book raises. Both articles and the book make reference to the Robben Island Bible. Robben Island was the South African prison where the leaders of the African National Congress and the Anti Apartheid movement were confined. One prisoner, Sonny Venkatrathnam, when he was told he was only allowed one book smuggled in the Complete Works of Shakespeare disguised as a Hindu Bible. As Venkatrathnam’s release date approached he asked his fellow prisoners to sign his book and select meaningful passages, which they all did. The larger point is that literature sustains and nurtures the spirit. If all these prisoners, or any prisoner, especially those jailed for political reasons, had access to were facts, data, and information there would be little consolation to be found. To a prisoner of conscience the facts are often oppressive; they often erode hope and weaken the spirit. Books, paintings, music, and the arts in general remind us that there are forces more powerful than the forces of this world. And these books and paintings and all do not need to be with us in a concrete form. The songs and stories and images live inside those that know them and they can be drawn upon whenever the need arises. As the words of the song suggest, there is a place somewhere over the rainbow where the spirit and the imagination can run free and the power of empire cannot pursue. The paintings above and below suggest the imagination’s work in the world. The sleeper appears to be in a dangerous situation, or perhaps not. The situation depends on the role of the lion. Is the lion keeping watch over the sleeper or is the lion a threat to the sleeper. The lion’s behavior in the painting suggests more one of watchfulness than attack. 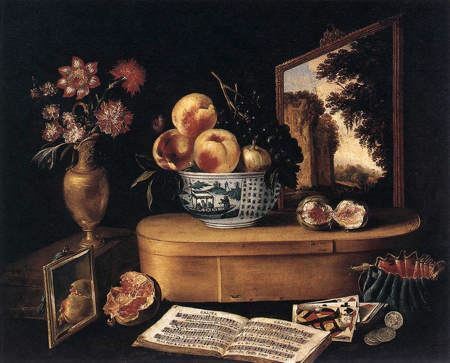 The objects in the painting are also suggestive. The clothing the woman wears is multi-colored and she has only a walking stick, a mandolin, and a jug, probably of water, but it could be something else. The colors and the musical instrument suggest the woman lives in the imagination. The walking stick and the jug suggests she lives in the real world at the same time, she has provided for both the soul and the body. The painting below suggests there are those in heavenly places who dance in time to the music that orchestrates our steps. 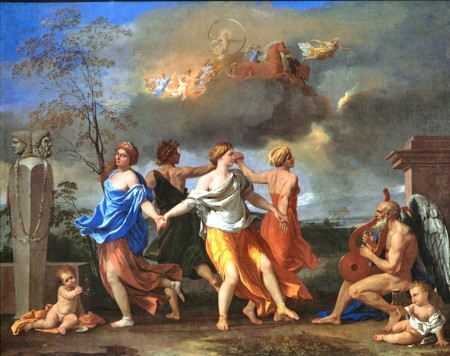 The musician playing for the earthy dancers has angel’s wings and suggests interaction between the heavens and the earth, that each is involved with the life of the other. There was an article recently, “Head and Heart,” about politics and morals. The article is actually a review of a couple books exploring the values of liberals and conservatives and suggests that Emerson’s observation, “Of the two great parties, which, at this hour, almost share the nation between them, I should say, that, one has the best cause, and the other contains the best men” still resonates. One of the books argues for the importance of religion in society, not because it is true, but because of its usefulness in maintaining a civil society. 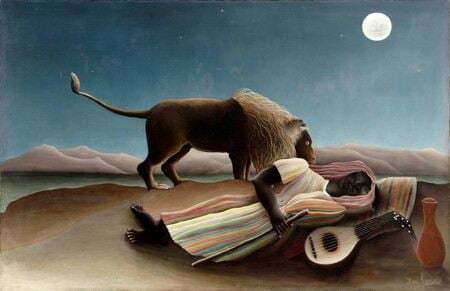 Are the angels, the heavenly dancers, the lion watching over us as we sleep, just stories and figments of the imagination we tell ourselves to quieten our fears? Or are they the source of the stories that we tell? Whether the source of comfort, solace, and encouragement is real or imagined, the stories we tell, songs we sing, pictures we paint all have the power to do these things and probably no amount of data analysis will ever be able to tell us why or where, with absolute certainty, this power comes from. As a teacher of literature I constantly struggle with value of literature and the place it holds in the curriculum. I know the power of story and language in my own life, I have seen this power at work in the lives of others, but I have also seen the immense indifference with which my students often respond to it. I know that when I was in high school boredom was the response the stories of the traditional canon most often provoked in students. Many of those students grew out of that indifference, but not all. I think that we are all free to reject the life of the literary and artistic imagination, just as we are free to ignore calculus and microbiology. But one of the purposes of school and of education is to expose ourselves to the different avenues our minds and imaginations might wish to pursue and we will never know that these avenues are open to us if no one ever points them out and helps us on our way. One thing that reading and the study of literature develops is a reflective mind, a mind that considers the directions it pursues before it too actively pursues those directions. It is very easy to be caught up in the excitement of the moment and the newness of things without thinking too deeply of the consequences. It is not possible to know all the potential dangers and which of those dangers are ones that should be struggled against and which should be avoided. Risk is incurred whenever we get out of bed in the morning and risk in and of itself is never a reason not to do something. Often those things that come with troubling possible consequences also come with attractive benefits. Nobel invented dynamite to make it easier to build roads and bridges and such. Nothing wrong with that, but there were other, less savory jobs the invention was given to do. Still, there is value to considering the destination before we begin the journey. The video clip is from the film version of Evelyn Waugh’s novel A Handful of Dust. In the book and the movie an English aristocrat, Tony Last, goes on an expedition to explore South America. He gets hopelessly lost and is rescued, after a fashion, by an older gentlemen living in the jungle. The old man cannot read but he loves stories. He asks Tony to read to him and of course Tony, being a true English gentleman, obliges. The old man arranges things such that those that come looking for Tony believe him to be dead and they go home calling off their search. Such is the power of stories. The old man cannot get enough of them and as a result Tony cannot go home. Part of the magic of the stories is having them read out loud and not every voice, no matter how skilled the reader to whom the voice belongs, is an effective reading voice. Donald Hall in a recent article, “Thank-you, Thank-you,” points out that not every poet read their poem well. For every Dylan Thomas with a magical voice there was a T. S. Eliot with a voice that was much less inspiring. The theatrics of Vachel Lindsey made him a popular reader of his verse, but not much of his verse has survived now that he is no longer here to read it to us. Virgil in the painting above is reading his poetry to the Emperor Augustus. Unlike Tony last, Virgil was not a captive reader of his stories. But again they are powerful stories and those in high places took pleasure in hearing them read. 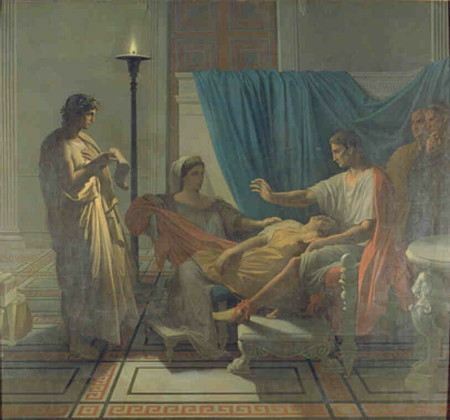 Virgil’s best known story, The Aeneid was an endorsement of sorts of the Roman Empire and tells the story of its beginnings. But whatever propagandistic task the story was given to do, the story still captures readers. The world its characters inhabit is very different from ours, and discovering this world is part of the fascination. There is also the desire to find a home. Odysseus had a home to go to, he just had problems getting there, but Aeneas has no home, his home has been taken from him. He has a ship and he is able to get most of his family away with him, but they have no place to go. Perhaps part of the attraction is that everyone of one of us at some point leaves a home to make a home for ourselves. We may not have to go to another part of the world, but we do have to “make an escape” and at times burn a few bridges in the process. Stories are often food for the journey. Whatever it is in stories that attract us (and even non-readers need stories, they just get them in different packages) they color our lives. Different stories feed us at different times and what we remember of the stories from earlier in our lives may not be found in the stories, but are instead stories that have been provoked by the stories we have read. The castles we explore in the stories we read as children are different from the castles in the stories we read when we are older. 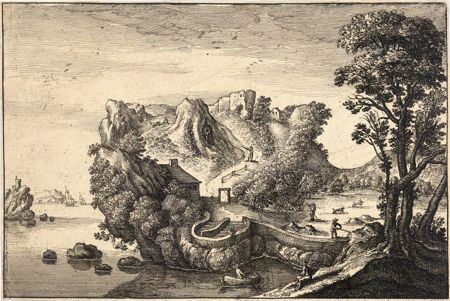 The castles of Sleeping Beauty or Cinderella are not the castles of Gormenghast or Udolpho, though they all have elements that both delight and terrify. What changes, perhaps, is the nature of that which delights and terrifies as we grow older. Each provides food for a journey, though they provide different food for different journeys and perhaps it is because the nature of our journeys change that we need to garnish the mind with provisions suited to the journey of the day. Is the mind without an adequately formed imagination in peril? Can the heart and the mind and the imagination be overly developed; do we reach a point where the stories we tell ourselves begin to do more harm than good? I do not think so, but I wonder what others do, what they carry in place of the stories that nourish me. I think it is important to question the stories, the beliefs, the assumptions that we have made, that part of aging well is remaining skeptical and curious. The best stories revolve around characters that are capable of change, who can not just adapt to changing circumstances but know when the circumstances require change and when they require perseverance and standing firmly on a conviction that mustn’t change. An article in the New Statesman, “Tragedy’s Decline and Fall,” contrasts the stories that Sophocles and other tragedians have told with those stories that are told today in gossip magazines, reality programs, and action films and questions the place each fills in their respective societies. Robert McCrum in an article on Macbeth, “What Macbeth tells us about the digital world,” examines the Porter’s speech, one of the few comic moments in an otherwise grim play. McCrum points out that many of the jokes in this comic monologue are topical references worthy of the tabloids of the day, but in Shakespeare’s handling of the material and in the context of the larger issues present in the play the humor rises above the topical and continues to resonate today. Of course that is what the written word must always do if it is to outlive the generation for which the words were written. In Macbeth there is a meeting of the tabloid and the tragic. In one sense they both help their audiences come to grips with the tensions and conflicts of the day, but one is deeper and far less shallow than other. Where tragedy provokes empathy and catharsis, the reality show and its cultural brethren cater to a delight many of us have in watching the suffering of others. Much of life is lived in the tension between conflicting values where each contain a truth, like when does the value of mercy override the value of justice; when does the value of generosity override the value of self-sufficiency; when is it important to adhere to the one at the expense of the other? Answering these questions depends more on wisdom than on knowledge, and where facts and data can provide us knowledge, stories are often where we turn for wisdom, a rarer quality and one much more difficult to master. There was an article recently in the New York Times, “Our Boredom, Ourselves,” about boredom. Fredrick Nietzsche said that “Boredom is a necessary precondition to creativity” and perhaps there is truth in this. The article suggests that boredom is hard work and that when we are doing nothing the creative centers of our brains are hard at work imagining things, being, as Nietzsche suggested, creative. The song is about finding “ecstasy,” overwhelming joy. That joy is found in simple experiences of the natural world, watching waves or smelling the trees in a forest. Perhaps boredom is represented by the lions that do not frighten him so much anymore. The paintings by Mondrian are found boring by some because not much seems to be happening and even after close study and scrutiny some still find the paintings boring because they just aren’t to everyone’s taste. This suggests other aspects of boredom that have to do with the cultivated mind and individual likes and dislikes. Many do not like opera the first time they hear it, but many that did not like opera on a first hearing go on to become quite enthusiastic about it once they have learned something about how it works and are exposed to the music as performed by those that know how to perform it well. 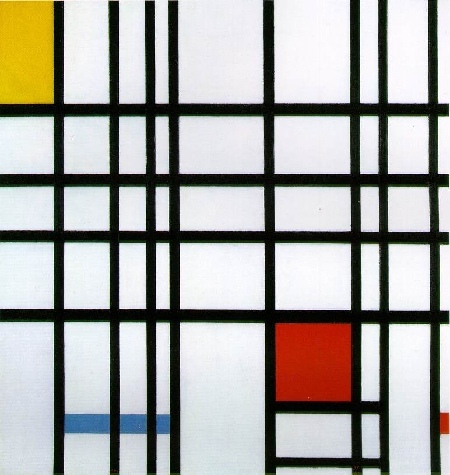 For many opera is something you grow into and perhaps the same is true of Mondrian’s paintings, they need to be grown into. 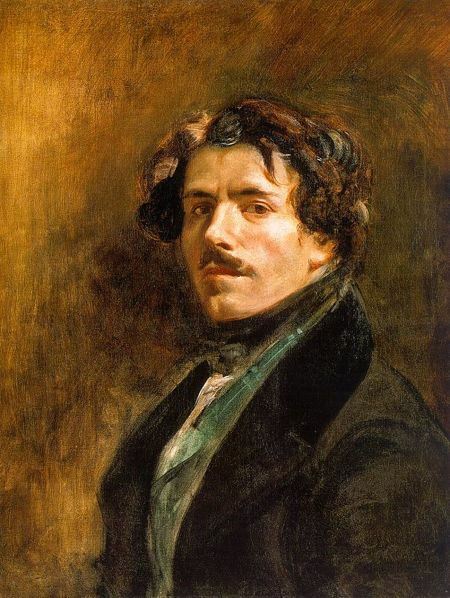 Of course it must be remembered that one can like opera without liking all operas and perhaps the same is true with painting, that one can enjoy some abstract paintings without enjoying all abstract paintings. The issue is not one of exposure so much as not having a taste for certain things and this is true of people with the most cultivated tastes. There are of course others who feign an interest in something because they are trying to impress others. No one, whatever the stage of cultural development they live at, enjoys everything. Out tastes are defined as much by what we do not like as they are by what we do like. 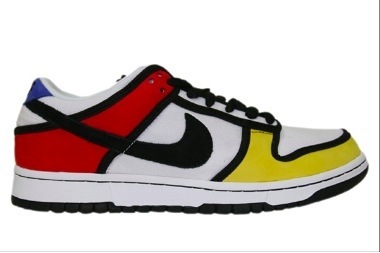 On the other hand it is difficult to know what will excite people and some things, like a Mondrian painting, that might bore a person if they were encountered in a museum might excite that same person if they were found on a tennis shoe. 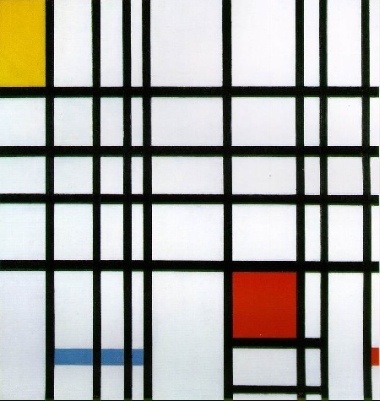 If we are attracted at all to the Mondrian painting it is probably the design that we find attractive and the design does not have to be found solely on a canvas to excite our interest, in fact a design that does not attract us in one venue may attract us in some other. As with fine dining, presentation is an important part of design. I suppose the whole issue of what is art and why we ought to appreciate it is at the heart of boredom. There are aspects of culture that we feel guilty for not appreciating and other aspects of culture for which we feel the need to suppress our appreciation. In some parts of the world sports are at the heart of one’s cultural experience in others it may be the ballet. But in any culture there are things folks feel compelled to know and other things that are more discretionary. In America it is more acceptable, I suppose, to be bored at the opera than at a football game. This painting plays with the idea of art imitating life to the extent that it is difficult to see where “life” ends and the painting begins. But is it the purpose of art to imitate life. I remember reading somewhere that E. B. White (writing under a pseudonym) once said that “art should not only “not” imitate life, it had better be a helluva lot more interesting.” I do not know if I remember correctly and I have not been able to verify the quote anywhere, still the quote is apt. A work of art may be true to life, but to keep the work from boring its audience the artist is selective about what is put into the work and what is kept out. The choice of what to put in does not need to be “exciting in and of itself, it just has to have a quality about it that holds our interest. 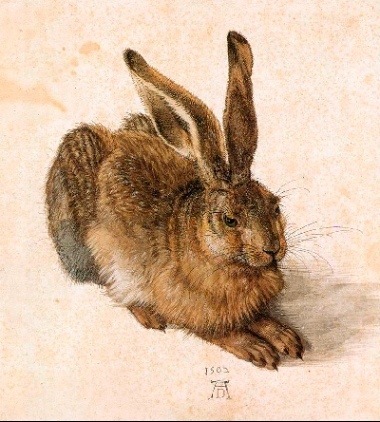 A painting of a rabbit could be maudlin or “cute” but it can also been done from life and catch our interest. The rabbit in the painting seems a serious fellow deep in thought. I think what attracts me is the level of realism, the texture of the fur, the facial expression, the tension in the body. But the point is simplicity is often exciting and capable of holding our interest. Perhaps the ability to find pleasure in simple things is an essential life skill, one that frees us from all the busyness and activity that goes on around us. Often what makes a good reader is the ability to see beyond the plot of a story, to see the well drawn details that help establish the reality of the story without contributing that much to what happens in the story. 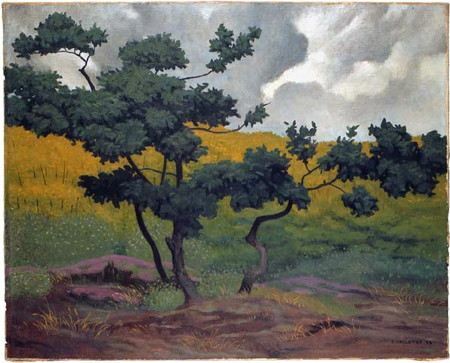 In some stories (Hardy’s Tess of the d’Urbervilles comes to mind) the scenery and the weather and the “actions” of the natural world reinforce or give insight into what is happening inside the characters. I think that we read stories, poems, plays, and essays (and whatever else that is out there requiring us to decipher symbols on a page) to help us answer questions about life and how to live it well. Perhaps we become bored with a story when it stops answering questions that are relevant to our own existence. A story may be a good story for others without being a good story for me, or it may not be a story I need for this stage in my life. 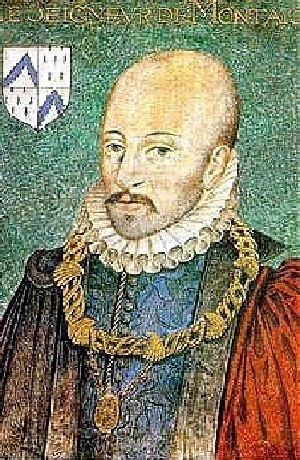 There was a review in the Guardian recently of a new biography of Michel Montaigne, “How to Live: A Life of Montaigne in One Question and Twenty Attempts at an Answer by Sarah Bakewell.” Montaigne’s life was radically changed by an encounter with death. He lived in a time when death was a much more common occurrence than it is for us, at least on a personal level. And, as is often the case with things we have in abundance, he took death for granted, until he had his accident. Montaigne went on to invent the essay (well he didn’t really invent the essay so much as give it a name). He used the form to answer questions, how should we live, what should we do with the time that we have? Primarily, he thought, we need to stop worrying about death. But he also thought we should read more, though not remember that much of what we read (we must wade through a lot of nonsense I suppose before we find things of real value), take things slowly, be curious. His essays help us understand friendship, the importance of learning from the experience of others, and knowing the difference between those that would deceive and those who can be trusted. But can someone find these essays interesting if she or he is not already aware of the importance of coming to grips with the issues the essays address. Often what bores us is not the work itself, but our own immaturity that blinds us to the need to confront the problems the work confronts. This clip from the film The Snows of Kilimanjaro raises another issue of story telling. How does the storyteller make a static scene interesting? I suppose this is an especially serious problem for the filmmaker. How do we hold the audience’s interest in a man in bed who is slowly dying? A large part of the responsibility falls on the actors who must capture the audience almost solely with their words and the emotions that can be packed into the words. What we watch, I imagine, is the behavior, is it true, is this how a person would act and speak and “be” under these circumstances? Because under the surface of the action, such as it is, is the same question Montaigne raises, how do we face our own mortality without “worrying about death.” If a scene like the one in the film is boring, it is either because we do not feel our own mortality or because the actors failed to convince us they were confronting their own. In a good story it is not the action entirely that holds our interest. A good story, for me anyway, is one we can come back to and read again and still draw something from the experience. Where all a story has to offer is a plot, a series of events, unfortunate or otherwise, there is nothing to hold our interest on a second reading. If the action of the story is presented exceptionally well it may succeed in arousing our interest on one or two more readings, but once we get to the point we can “tell the story” to ourselves without needing the book there will be nothing left to draw us back in. But in a well told story where real questions of human existence are being confronted, where the characters confront these questions in a meaningful and honest way, there will always be something to hold our interest. We are not reading because we have been captured by what people do but because we have been captured by the people themselves and they hold us, at times perhaps, against our will. The David Bowie song is about changes and how we all change over time, sometimes in our own eyes, but more often, perhaps, in the eyes of others. The changes that take place between the songs and at the end of the music clip are much more jarring and a bit too noticeable, in large part due to my lack of skill with the tools used to merge the four songs. But there is a transformation within the second song that can almost go unnoticed. 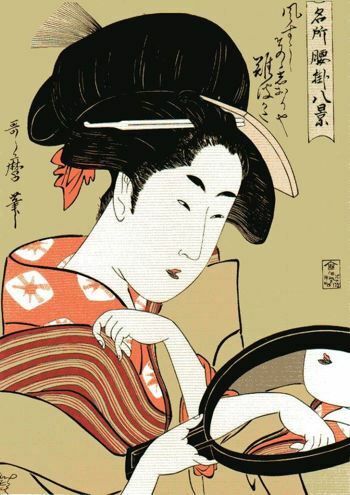 The aria is from the end of the opera Madama Butterfly and Madama, realizing she has been abandoned by the man she loved is preparing for the tragic ending of the story. The man who betrayed her was a United States Navy officer and if we are paying attention we notice a point in the aria where Puccini has seamlessly worked into the score “The Star Spangled Banner.” It is woven into the song Madama sings. It only lasts a few seconds and then it is gone, but this musical metamorphosis reminds the listener of who the responsible party is. The clip segues again into two other views of love that are on the one hand more positive, but in one case equally as tragic, La Boheme ends tragically for Mimi and Rodolfo while Les Miserables ends happily for Cosette and Marius. It may just be me but there seem to be echoes of La Boheme in Les Miserables. When I hear the two pieces of music separately the one evokes the other in my mind, but less so when I hear them together. Perhaps there are other similarities in the two stories that encourage this musical connection or perhaps it is just the mind’s “rage for order”. Literature is about change. Stories involving characters that do not grow or learn from their actions are either dull stories or stories that are not true to life or stories about foolish people. 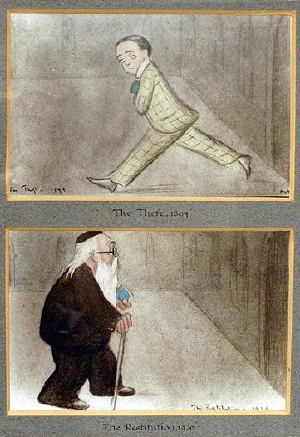 The illustration at the top underscores a change in the artist, Max Beerbohm. I do not know if this illustration documents an actual event or if it is fictional but it does underscore a change either in Mr. Beerbohm or the character he has invented of the same name. He stole a book from a library as a young man and many years later, as an old man sees the error of his ways and attempts to put things right. Perhaps this act of restitution was the result of something he read in the book he stole, I do not know, but I know people are often transformed by what they read. St. Augustine in his Confessions tells of stealing some pears as a child and how as an adult after converting to Christianity he still carried the guilt for that action; it followed him throughout life. We can argue whether this change that came about as a result of his reading was for the better or for the worse, but it cannot be argued that the change was profound. What we see, read, and hear changes us. This is true whether we are aware of this or not. I remember as a child watching Leave It to Beaver and shows of a similar ilk that presented the American family in a certain light, and this light colored the way I viewed the family ever after. When I started teaching the American family was represented on television by programs like The Simpson and Married with Children which presented a very different view of the family and where the view I grew up with was probably a bit too rosy, I wonder if the one my students grew up with is a bit too dark. It can be argued that there are families like those depicted The Simpsons, but the same might be said about the television families I grew up with as well. My guess, and it is only a guess, is that the reality probably lies somewhere in between. But that is not the point. The point is to what extent is our view of family shaped by our actual experience of by the families we encounter in the media. Do we draw our own conclusions or have they been drawn for us. The issue for me is that our views are being shaped by the books we read, the movies we watch, and the music we listen to. Do we play a part in the changes that take place or are they happening without our knowledge. When the worldview of a nation or a culture changes, does it change as a result of reflections on the good and the bad in past behavior, or does it happen thoughtlessly through shifts in the stories we are told and the passivity with which we engage these stories? As an English teacher this is to me an important question, though I do not pretend to know the answer. The paintings above and below capture scenes from a classical poem by Ovid, The Metamorphoses, which is entirely about change. Characters change into birds and trees and other objects from nature, stories merge into each other; the world is in a constant state of change and transformation. The poem contains in its pages most of the more important stories from the Greek and Roman myths but it also addresses character and what produces change in character. The young lady in the painting above is changing into a tree in order to avoid the unwanted advances of one of the gods, Apollo. 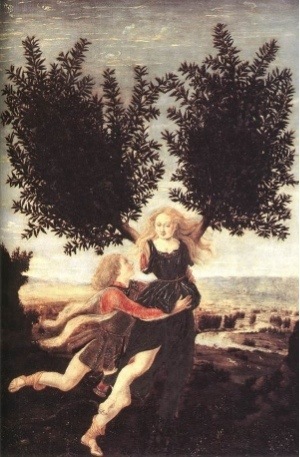 This motif of a human character who is mobile and active changing into a tree that is rooted and bound to a single spot of land is found in other stories. Spenser in his poem The Faerie Queen has a pair of lover so rooted. In the science fiction novel A Voyage to Arcturus a character whose will is being taken from him by another is being forced to root himself and is slowly changing into a tree. He is made to watch the roots slowly appear from his ankles and his feet. It is a rather terrifying moment in the story, for me at least. But it illustrates how things change, with or without our consent. In the story the man that is being rooted lacks the strength to fight back; his adversary is more powerful. This suggests to me how powerful forces in a culture can change those that are complacent and unreflective without their being aware of what is going on. The stories we read in school can only help us if we engage them actively; if we look at the worlds and the characters the stories offer up and question them and their reality and relevance to our own lives. This story of Arachne is a bit different. It is about pride and over-confidence. Arachne boasts that she is a more artful weaver than Minerva (the Roman name for Athena), one of the more prominent goddesses in the Greek and Roman mythology. Arachne losses the contest, of course and is transformed into one of nature’s more capable weavers, the spider. What does this suggest about power, especially divine power. Are there forces that must be respected even though they can at times be malicious? When I was younger I worked for a few months on a kibbutz in Israel. I left the kibbutz to see something of the country and I hitchhiked down to Elat, a small town on the Red Sea. At one point, after hours of trying, I could not get a ride. I decided it was only twenty miles to Elat and so I would walk the distance (I enjoy walking, but it is unwise to attempt a walk such as this in the desert in the middle of August). The forces of the desert are unremitting and were it not for the kindness of some Israeli soldiers with a jeep, I may not have had as happy a conclusion to my trip. Is the desert malicious or was I foolish? Does it matter in a world that can be hostile if its forces are not respected. 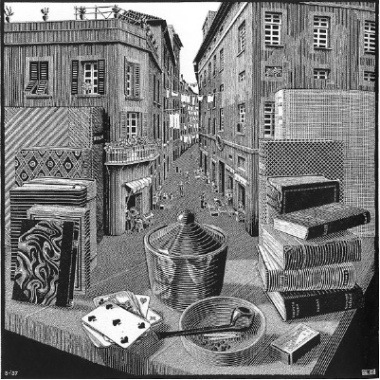 This etching by M. C. Escher plays with transformations and expectations. We see a table with a pipe, some cards, and a few books that unfolds into a busy city street. The image is discordant; this cannot be the real world. What does this suggest about the imagination? Is this just a clever piece of perspective drawing that plays with our expectations without really commenting on the nature of reality or does it suggest something about how the imagination works, perhaps how stories work? I enjoy the games that Escher plays with perspective (both in the artistic and the cognitive sense). I think about the articles on the table and what they suggest. 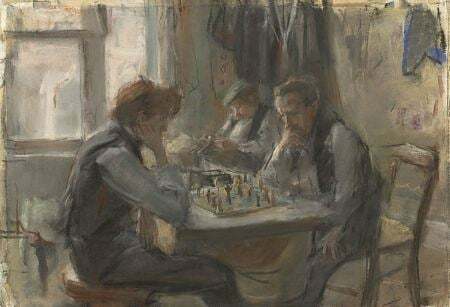 The pipe suggests reflection, a person quietly smoking a pipe as he (or perhaps she) thinks things over, like Sherlock Holmes with a six pipe problem. The cards, to me, suggest magic and the magician’s slight of hand (I was an amateur magician as a child and this may color my interpretation). 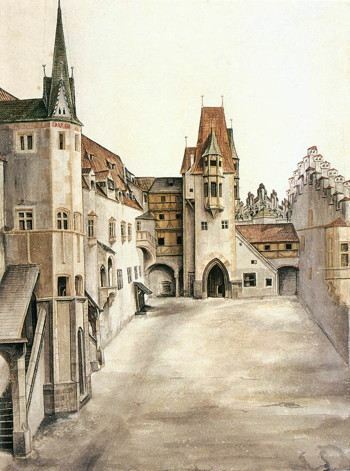 The books suggest the imagination and the ability of the imagination to create new worlds, with their own city streets no doubt, as a magician might pull a world out of a hat. I think of something G. K. Chesterton once said, “Art exists solely in order to create a miniature universe, a working model of the universe, a toy universe, which we can play with as a child plays with a toy theater.” I think there is some truth to this. We often tell stories and read stories to understand how the world works or how the world might work or be made to work differently. I wanted to say that the artist might seek to create a better world, but than one person’s utopia is another’s dystopia. I remember reading in Rabelais of the Academy of Theleme and thinking folks like me might find this an interesting place, but many of my students would probably feel like they had entered 1984. Most of us want to understand and to make things better, but there does not seem to be much consensus as to what constitutes a better world. 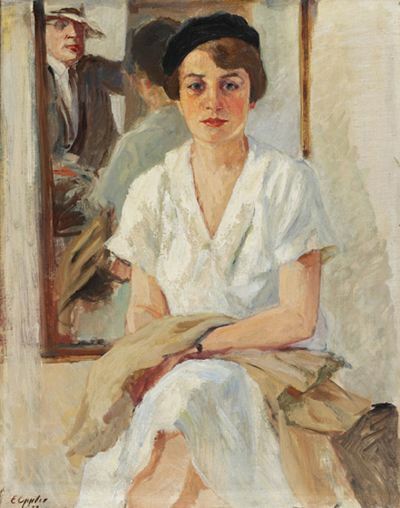 There was an article in this week’s Los Angeles Times “A Room of Her Own” by Nahid Rachlin. It is about growing up in Iran and being a woman and desiring to be a writer. She eventually comes to the United States where she can get an education and where she can write. There were conflicts in her home that she had to reconcile. She was raised by a Muslim fundamentalist aunt who gave her the freedom to write and secular parents who were less tolerant, an interesting juxtaposition of stereotypes. She was drawn to reading and writing to find answers and to understand. The reading and writing did not answer the questions she had about the world in which she lived, but the reading and writing brought her peace and often happiness. I think for many this is a service that literature and the written word has provided. Reading and writing cannot change the world perhaps, but they can change us and help us to live with the things we cannot change and to work at changing those things we can change. I like this film because it was one of the first films ever made and because it helped to start a genre, the Science Fiction film. The special effects by our standards are quite crude, but for 1910 I imagine they were something to write home about. I like science fiction in part because it reflects on reality and how the world might change and how in spite of all the changes that may take place, human beings often remain very much the same. One story I like a lot is A Canticle for Leibowitz. The book imagines a world that has been destroyed by human violence and then sets about rebuilding itself to the place where it can once again destroy itself. In some ways it is very pessimistic but in others it is hopeful. For though the human capacity for destruction remains so does the human capacity for kindness and compassion. I think as we and the world grow older we have the opportunity to grow wiser, but this is an opportunity we each must accept as individuals, and it gets back to how we define a better world, Is it one with markets that do not crash and where everyone becomes prosperous, or is it one that recognizes the value of making sacrifices for the sake of others? I remember reading something about utopia by Theodore Adorno. He suggested that many of the writers that tried to imagine Utopia would think we are living in a utopia because of all the conveniences that we have. But Utopia is not about an electric blanket on a cold winter’s night, but about the higher aspirations of the human heart. And to have aspirations at all we must reflect on where we are and where we might be. Filling the time is often difficult. Some believe ninety minutes is too long for a class to last and others that forty-five minutes is much too short. It all depends, I suppose, on how the time is employed, The modern teacher has excite the class about something, give the instruction on how to complete the assignment, and have time left over to actually complete the task. Ideally there is time after the task is done to review important points, discuss the homework, and set up the nights reading assignment. Time and its management is a tricky thing. How is time used most effectively, especially in the classroom where I work (not that time isn’t important for people that work outside the classroom, but they will have to find their own answers)? So much of effective education depends on repetition and paying attention. Instruction is given, for example, on how to complete a bibliography (something few outside of academia care much about). The steps are pretty simple. The citation that must be placed inside the paper is also pretty simple. These tasks do not have much that is confusing about them, but the tasks and the instructions on how to complete them, are tedious. And even if the students are going through the motions of paying attention, their minds are elsewhere. When the time comes to complete the bibliography or cite the source most will be back asking how it is done. So does it matter if the class is ninety minutes or half an hour? Does it only matter that the time is somehow filled, however much it is, with material that will hold interest and provoke, perhaps, students to dig deeper into the material on their own time and at their own pace? I think educating the mind is exciting, I have always been curious, and as a result have always wanted to know more than the teacher taught, no matter how much the teacher taught, but, honestly, only about the things that interested me. I found Gauss an interesting man so I looked up material on him while in high school and learned a lot about his life and work, but did not learn much of the math that is necessary to really understand his work. I suppose that is how most of us are; we investigate what interests us and, maybe, a few of the tangents, a bit less deeply, that present themselves along the way. The school that sponsors my classroom went from ninety minute blocks to seventy-five minute blocks in the morning, hence the concern for time. I find that I cannot get done in seventy-five minutes what I used to get done in ninety. That should come as no surprise, the other fifteen minutes should have been filled with something, and that has to be left behind. Another five minutes have been added to the afternoon classes, going from forty-five to fifty minutes. But five minutes is not enough time to introduce something new and than finish whatever that something new happened to be. For those that count minutes in the classroom five minutes is five minutes no matter where it lives. But of course in the classroom where the five minutes lives can make all the difference in the world. When I was in college the university I attended thought they would save money and make students happy by ending the first semester at Christmas break in the middle of December rather than the middle of the following January where it traditionally ended. However, the missing four weeks or so had to be made up somehow. This was done by adding a chunk of time to each class. I forget exactly how much time was added to each class but it equaled the amount of class time lost by ending early. One of my professors thought this was wrong. That adding some time to each class could not make up for the time lost because in those four additional weeks students could be given additional books to read and discuss. The time in class did not change but the time spent out of class preparing for what happened in class did change. It takes time to read, digest, and reflect on a work of literature. Much of the time devoted to reading and reflecting is what was lost. That is perhaps the larger issue. We are in the midst of an election. Time needs to be spent finding out what it is we want the government to do, and what it is the government must do if the nation is to remain healthy and strong. Most importantly we need to think about which candidate can do those things. This decision ought to be the product of time spent thinking and reflecting on issues and problems. Most, though, will probably make this decision based on their political philosophy; the conservative will vote for the most conservative candidate and the liberal for the most liberal. Odds are that after reflecting a bit the result would be the same anyway so why invest the time. There is some truth in this, but what happens to a society that does not nurture reflection or develop it as a skill in the first place. That may be true, but only if citizens do not take the time to find things out to think in some depth about what is actually going on and being promised. Some complain about how long this election has gone on. It has been longer than most, but though the candidates have spent more time talking and debating have voters spent more time thinking about the process. Do they complain because they are used to things taking less time, not more, to be completed. Again, the issue is not so much the election, though that is important I suppose, but the resistance to the contemplative process. There are important decisions that life and society place in front of us and though we would wish otherwise there is a cost to making these decisions too quickly and too thoughtlessly. I wonder what the desire to streamline things, from classrooms to computer access, has on people. I know in my classroom students struggle with books that make demands on their time and interest. They have difficulty understanding what a book is about when plot is set aside for other interests of the author, like setting or character. In their minds understanding a book relates almost entirely to knowing what is happening. When Beowulf is fighting Grendel students know what is going on, but when he is giving a speech or the poet is philosophizing about the nature of honor students get lost. That, I suppose is what the teacher is for, but is it wise for the teacher to always help them out of these literary potholes; don’t students need to work their way through some of these problems on their own? This becomes difficult when class time disappears. I think stories are important in this regard. When we reflect on them they give substance to the concepts we believe and help us recognize the importance of the issues the stories raise to our daily lives. The stories do not need to come from the canon of great literature, nor do they need to be long and involved. Theodore Roosevelt (I believe) once said “Loyalty is being faithful without being famous.” That is a story of sorts or at least it contains the kernel of a plot that could make a good story. I started reading a new book by Margaret Atwood today. It is called Payback and she begins with an observation by another writer, Alistair MacLeod, that writers write about what worries them. Atwood adds that writers also write about what puzzles them. Our relationship to time and our attitudes toward time, worry and puzzle me. We are becoming less and less comfortable with free time. But it is in these unfilled blocks of time where we come to know ourselves and the world around us. Atwood’s book begins by telling a story of Ernest Thompson Seton and the debt he owed his father (it is a wonderful story and you should read the book). She wonders about our indebtedness to those that raised us. Time spent by the adults around us teaching and caring for us is an investment. No one has figured out how to quicken the race to adulthood, it still seems to require eighteen some odd years. The kind of adults our children become depends on the kind of time we invest in them. Some of this time is invested in classrooms. I worry about how this time is spent and am puzzled by what some think is a wise and productive allotment of that time.